Bring Thanksgiving meals to nearly 500 seniors in central Fulton County with Meals on Wheels Atlanta, an organization that supports low-income and homebound seniors. You’ll pick up meals and help deliver them on Thanksgiving morning. Volunteers must register in advance here. When: November 22, half-hour shifts from 8:30-10:30 a.m.
Make toiletry kits with items like shampoo, toothpaste, and combs or donate clothes to MUST Ministries for Thanksgiving at the Elizabeth Inn campus in Marietta. The ministry says the biggest need this season is new socks and underwear for all ages. Though food service volunteer positions are filled for Thanksgiving, opportunities to serve at the Loaves and Fishes Community Kitchen before and after the holiday are available. You’ll provide, cook, and serve food at a time that works with your schedule. The community kitchen is open 365 days a year. Email lminns@mustministries.org if you plan to donate on Thanksgiving or to register for a time slot at the community kitchen. When: Donate November 22; volunteer any day of the week. About 1 million children in Georgia schools are eligible to receive free or reduced-price breakfast and lunch, meals they could go without during school breaks, according to Action Ministries. Volunteer to help this metro Atlanta nonprofit prepare lunches for the children at Peachtree Village Mobile Home Park before Thanksgiving. Action Ministries, a nonprofit that focuses on hunger relief, housing, and education, will then deliver the food to children in their neighborhoods. Sign up here. Everyone should be able to spend Thanksgiving with someone, even Atlanta’s homeless dogs. Sign up to take in one of LifeLine Animal Project‘s 50 dogs for one week this Thanksgiving. LifeLine Animal Project, which works to end shelter euthanasia, will provide pet supplies, vet care, and support to volunteers. 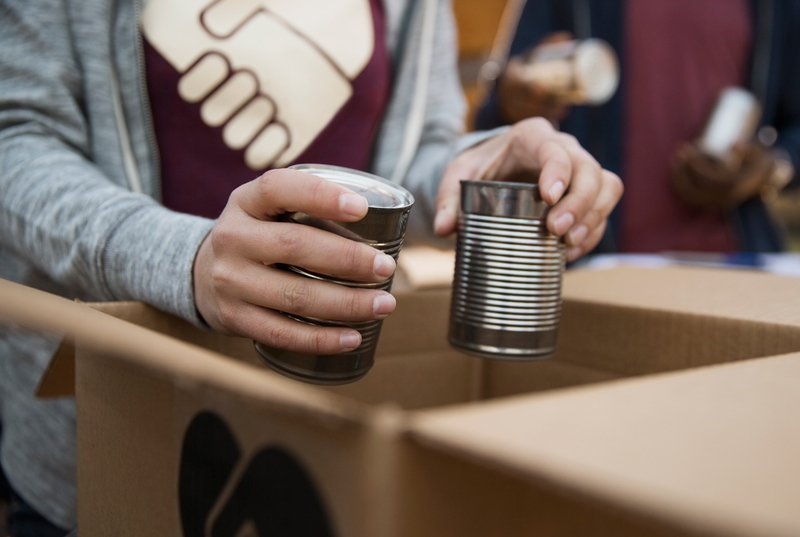 Volunteer to organize and pack boxes and help families in need load a Thanksgiving food box into their cars through the Center for Family Resources, a Cobb County-based nonprofit that helps the homeless and those in danger of becoming homeless. Rather than preparing and handing out meals on the holiday, this organization helps support families by giving them the ingredients they need to make a meal so that they can keep their own traditions and recipes alive. More information here. When: November 16 from 8:30 a.m.-1 p.m. and 12:30-5:00 p.m. or November 17 from 8:30 a.m.-1:00 p.m.
Help receive, prepare, and serve warm Thanksgiving meals to people in need in north Fulton County with NFCC, an organization that provides holiday assistance for those with financial needs. You can volunteer alone or with your family, and children aged 13-15 can volunteer alongside an adult. Sign up here. Take time out of Thanksgiving Day to serve others in the community through Hosea Feed The Hungry, which works to both spotlight the struggles of poverty and support those in need. The holiday dinners provide 20,000 meals to the community, and the nonprofit also provides free barber and beauty services, clothing, health care services, and employment assistance. You can volunteer to help with security, serve as an event guide, or to clean up and break down different areas. Provide Thanksgiving food donations to help feed 300 families in need. You can either complete a whole shopping list for one family or donate individual items. Lift Up, a nonprofit that helps homeless and low-income families in the metro Atlanta area, will continue to take items until November 17. If you’d rather give your time, the organization needs volunteers to sort, organize, and distribute the food baskets. More information here. When: Accepting donations until 10 a.m. on Nov. 17; Food distribution is Nov. 17 from 10 a.m.-2 p.m.
Help end food hunger in Atlanta one shelf of food at a time. Unpack, sort, and stock food at the food pantry before Thanksgiving. Volunteers must be at least 16 years old to help without a chaperone. When: November 20 from 11 a.m.-7 p.m. or November 21 8 a.m.-12 p.m. If you want to give back but don’t have time to go somewhere, you can donate and sponsor anywhere from two (for $21.36) to 10 (for $106.80) Thanksgiving tables through Atlanta Mission, a Christian nonprofit ministry that serves metro Atlanta’s homeless. Or you can give your time before or after Thanksgiving with their ongoing projects. Find an opportunity here.